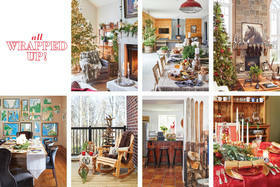 Two sisters and a decorator plan a stylish reveal for a snowbird couple's return. 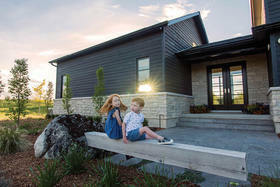 A version of this article originally appeared in the Summer 2018 issue of OUR HOMES Wellington County, Orangeville, Caledon, p.90. Find local businesses in our Wellington directory. When Larry and Mary Kaye Hudson recently returned from wintering in Florida, they discovered their daughters and their decorator had updated their Listowel home with fresh accessories and décor and surprised them with a reveal as they walked through the door. 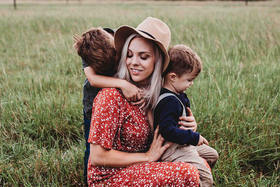 The trio had transformed and refreshed a few rooms in the Hudsons’ two-year-old bungalow with on-trend colours and accessories. Family friend and decorator Andrea Bramhill helped the Hudsons achieve a cohesive, clean and functional space that met their taste. 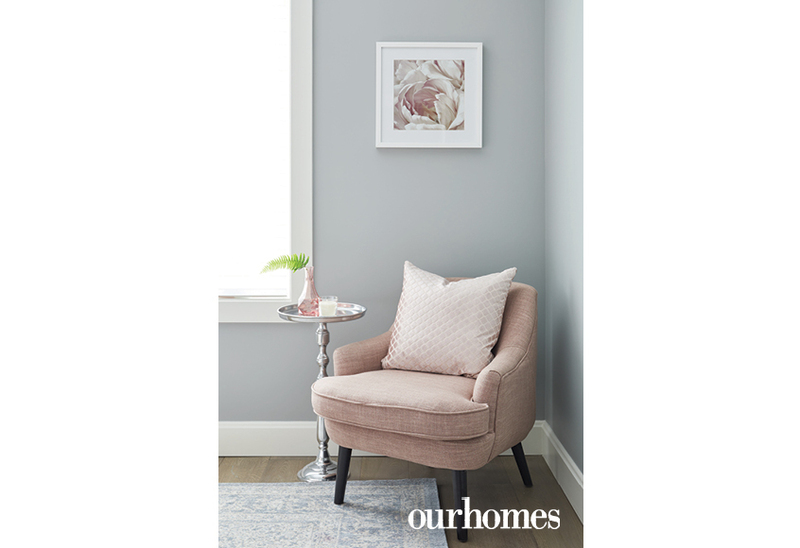 The already neutral space provided an easy canvas for some chic updates – one of the biggest benefits of a grey-and-white base palette. They called on Chelsey Fotheringham at idesign Kitchen Studio to design their large kitchen and to install cabinetry in their bathrooms. The kitchen incorporat features like glass accent doors, a custom range hood and a shimmery quartz counter. 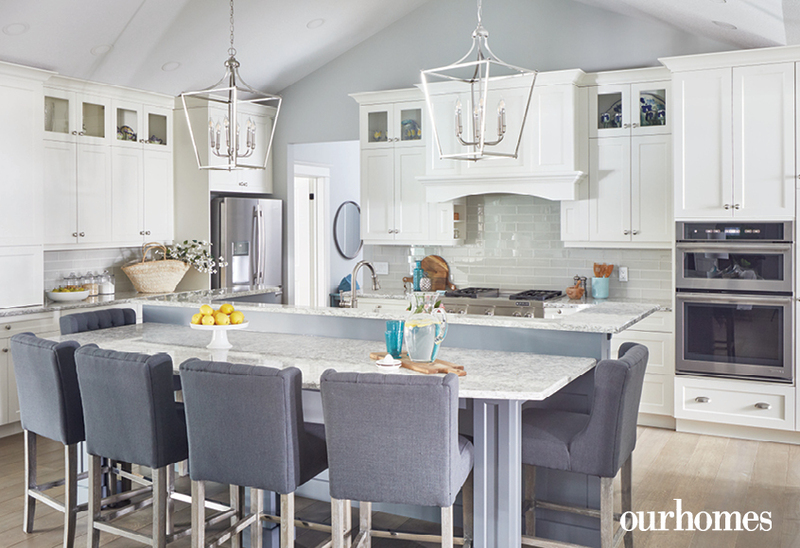 The tiered kitchen island does double duty as an eat-in area and prep space. Off the kitchen is a family room. Domm Construction installed a three-piece piece guest bathroom. While couple’s main-floor master bedroom (furniture by Conway Furniture) is a soothing space, the lower level offers ample entertaining. A golf simulator takes advantage of 12-foot ceilings. A bar and sitting area and a pool table round out the action. 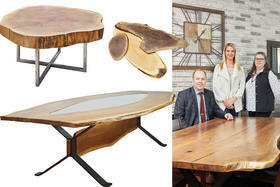 The Hudsons’ favourite room is the Muskoka room off the kitchen. It has the same relaxing feel as their family cottage. The Hudson sisters, Katie (left) and Becky (standing) discuss the imminent “reveal’ with designer Andrea Bramhill (right) in the Muskoka Room. 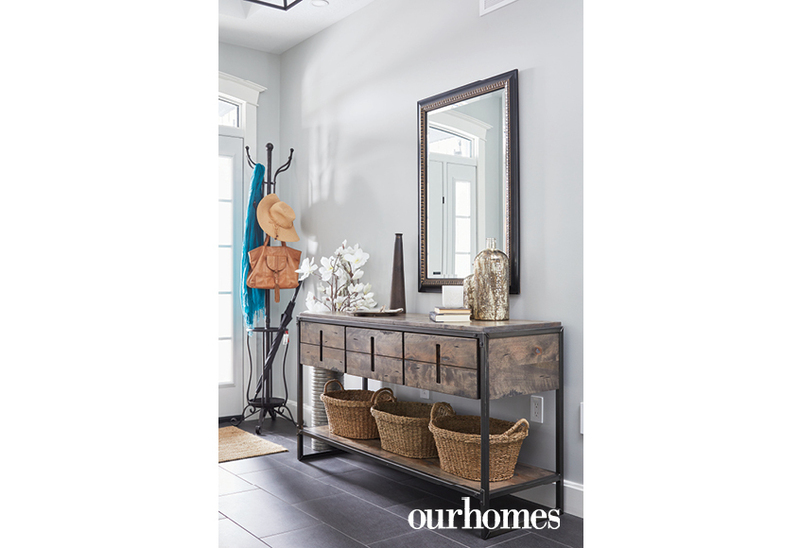 A stylish console table in the front entry sets the tone for this welcoming, comfortable family home. Beachy aqua is the accent colour that punch up the earthy palette and tie the living room and Muskoka Room together. 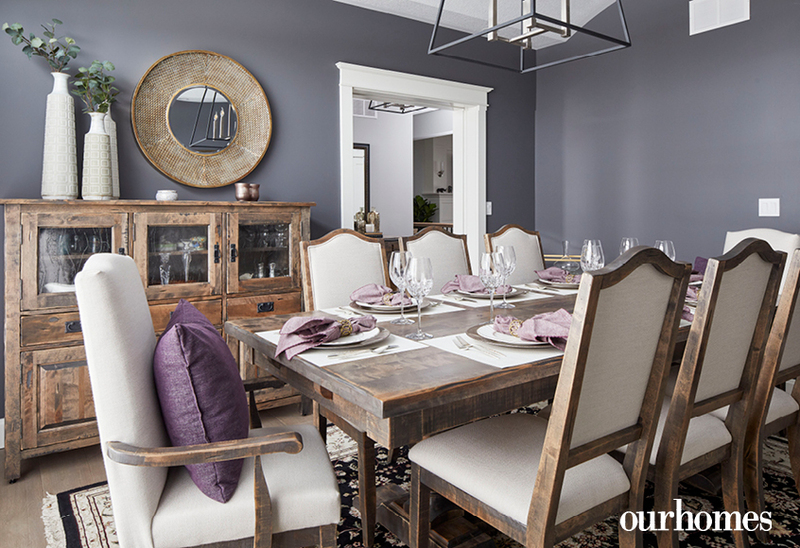 In this dining room, a rustic wood dining set has cream-toned upholstery. Mauve accents are introduced in pillows and napkins. 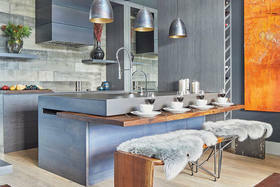 A tiered island separates the prep/work area from the eating/ gathering space. It blends beautifully with the casual way this family lives. Refreshed with new wall hangings, a cosy throw and aqua accent cushions, the master bedroom echoes the colour palette in the other main-floor rooms. When the day is over, the owners unwind in this serene master bathroom. 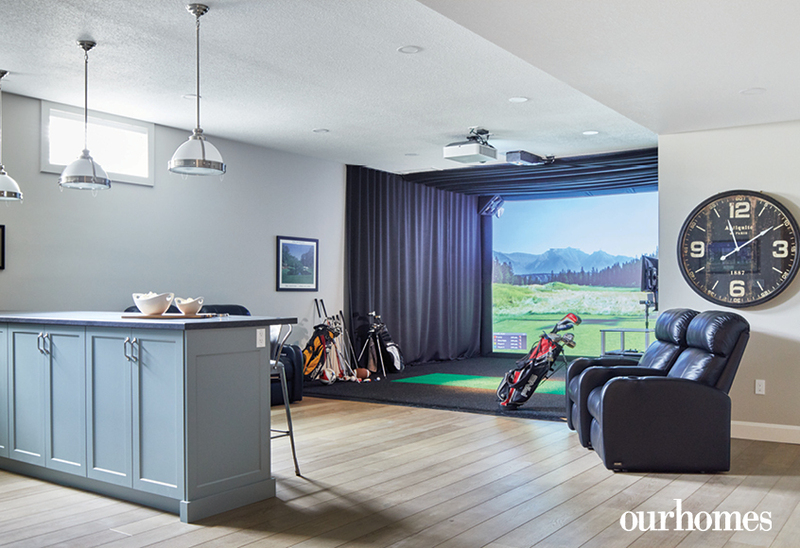 Extra high ceilings in the basement accommodate the must-have golf simulator, which also doubles as a movie screen. A mix of open and closed cabinetry in the basement bar invites entertaining. 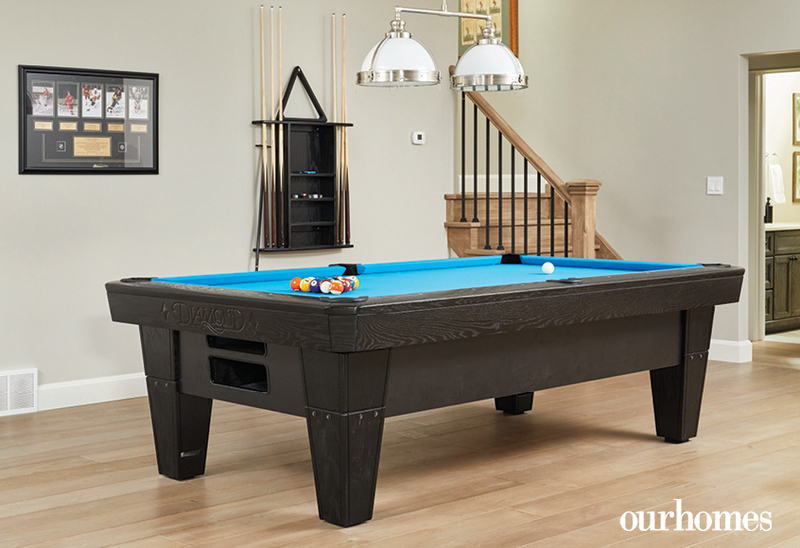 Family gatherings often include a game of pool in the spacious home theatre/games/entertainment room. Pretty in Pink! 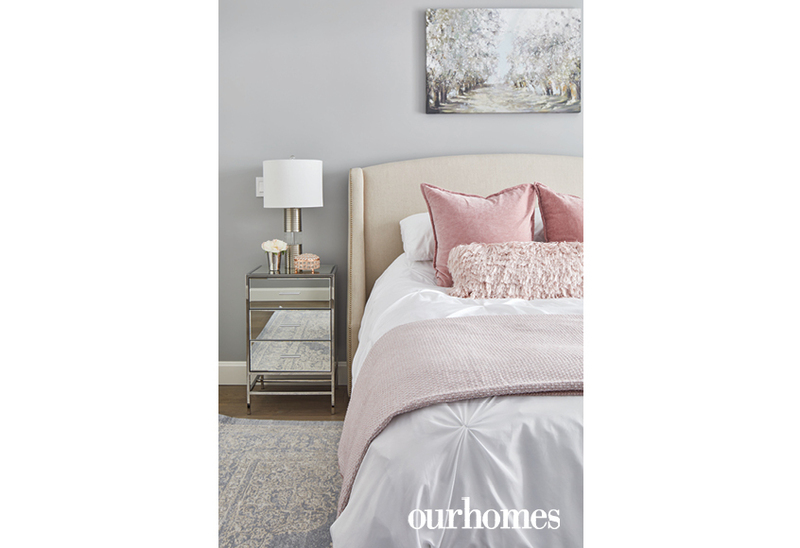 Who wouldn’t want to be the guest in this feminine, comfy bedroom? 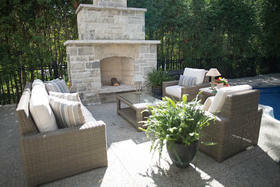 A quiet corner to relax before dinner or after the party is over. 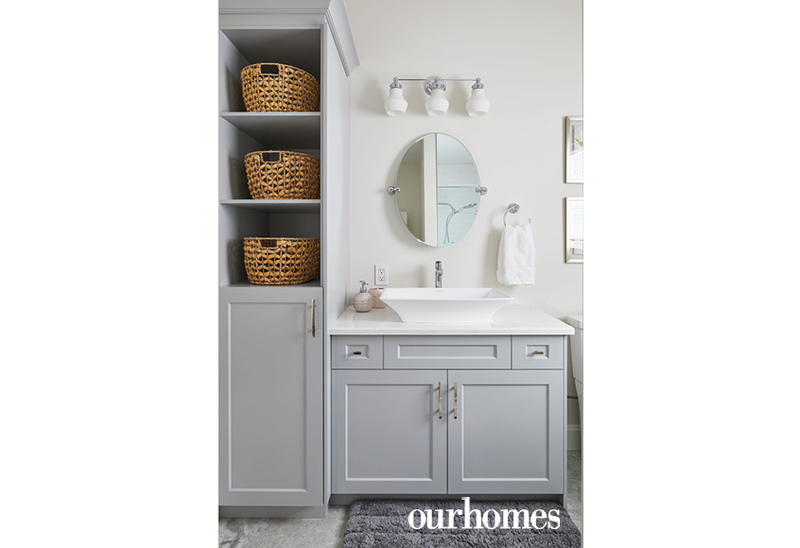 This 3 piece bathroom on the ground floor incorporates style and function.